Since 2011, Premier Auto Transport has provided individuals and businesses with dependable automotive transportation services. We are a full-service company ready to transport all of your automobiles and equipment by truck or professional drivers. We offer friendly customer service, competitive shipping rates and have an outstanding record of satisfaction among our customers. 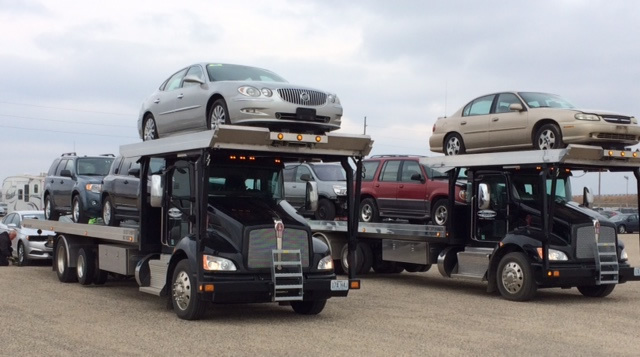 Premier Auto Transport is fully licensed (DOT#2195870) and insured. We provide transport services throughout the Midwest. For your free quote or more information, call us today at (314) 385-4567. With over 650,000 SF of space under one roof, located on 10 acres, we can accommodate all of your storage needs.